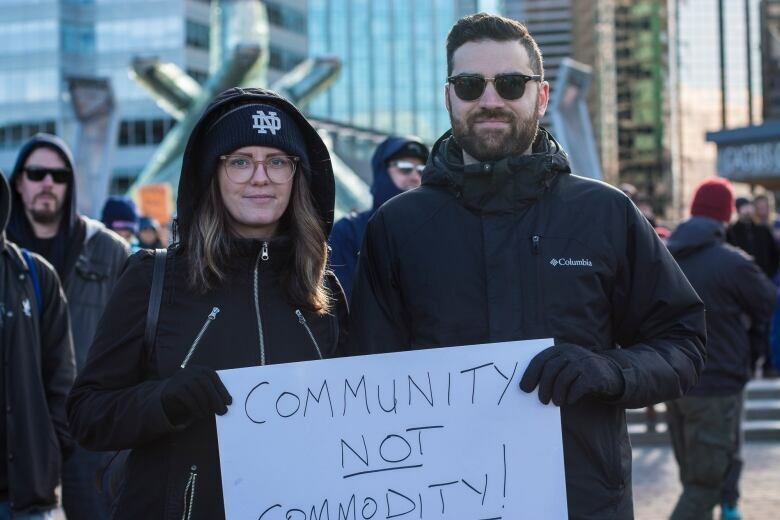 The rally came two days before the B.C. government is set to present its first full budget, which is expected to take steps toward tackling housing affordability. 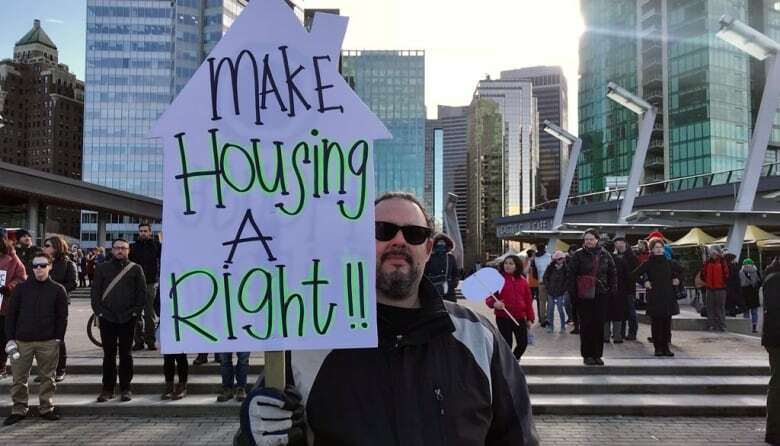 Hundreds of people gathered in downtown Vancouver Sunday to demand changes to make housing more affordable in the city. "Oh it's a struggle, it's a nightmare," said Paolo Succi who attended the rally with Meghan Kennedy. "We don't have pets, we are non-smokers and even with that it's virtually impossible to find solid rental housing that isn't decrepit for a reasonable price," he said. The two were joined by others who are also struggling to find appropriate and secure housing. Several said they spend more than 50 per cent of their incomes on rent. "What comes in goes out, basically living pay cheque to pay cheque," said Kennedy. 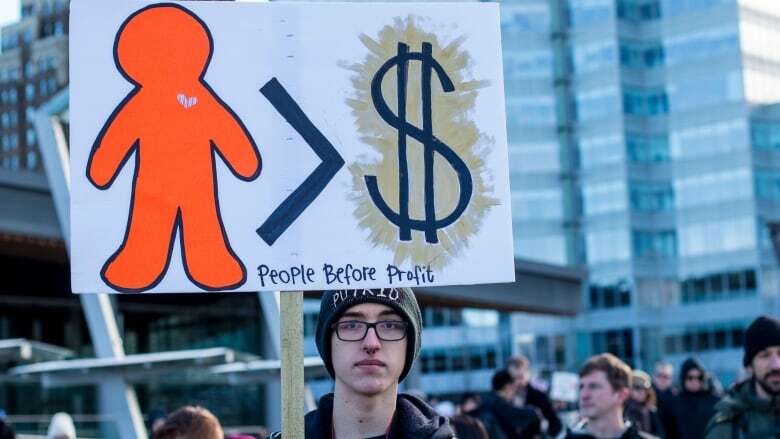 "It's ridiculous," said student Joe Ayres, who lives with his parents in Surrey and says it's hard to pay his living expenses. "Everyone I know is struggling," he said. The rally comes two days before the provincial government is set to present its first full budget. 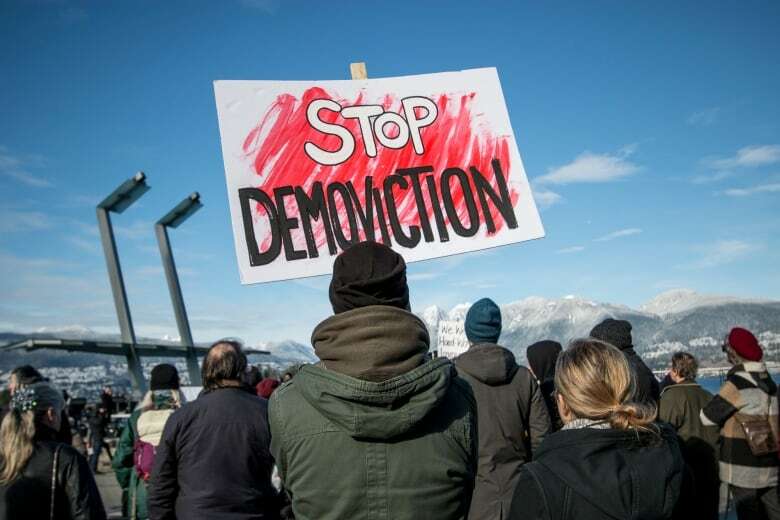 Action on housing was the centrepiece of the throne speech on Tuesday. Lt.-Gov. Judith Guichon said the government would move forward on a number of issues this session. They include reducing speculation, increasing rental and student housing, and better protecting renters. 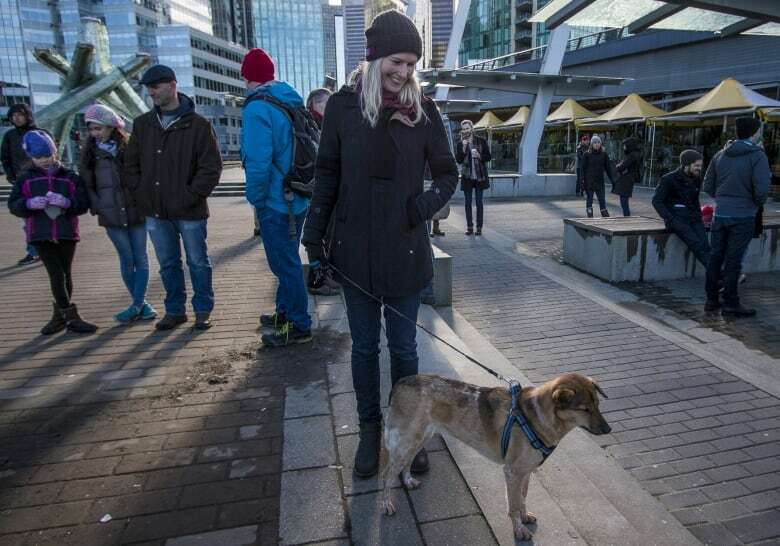 An array of speakers addressed the rally including affordability experts, those opposed to AirBnb rentals, and advocates for allowing animals in rentals. That's a big concern for Birgit Leuck. She and her partner recently bought a mobile home to use for trips in the summer. She said they'd consider living in it so they don't have to give up their pets if they are forced to move from their rental. They are worried that apartment will be sold for development. "It's going to kind of be a home security, just in case if we do have to move ... we don't feel pressure to give up our pets," she said about the house on wheels. At the rally a statement was read from Green Party leader Andrew Weaver. He has supported a complete ban on foreign investment in B.C. real estate. One of the rally's organizers, Behzad Homaie, wants the government to implement a speculation tax in B.C. to discourage homes from being used as commodities to be bought, flipped and sold. The tax was part of the B.C. NDP's campaign platform and Tuesday's throne speech hinted at delivering that promise. With files from Tina Lovgreen.